While dining out and attending concerts, plays and sporting events can be a lot of fun, they’re not often the cheapest of activities. To offset the costs of these pursuits, know that there are credit cards available that can help effectively offset the costs of dining and entertainment purchases through rewards. 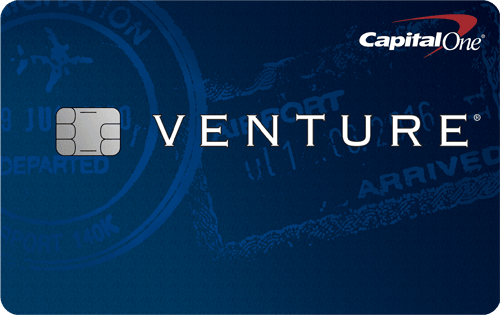 Capital One offers two dining and entertainment centric credit cards for you to consider — the Capital One® SavorOne℠ Cash Rewards Credit Card and the Capital One® Savor® Cash Rewards Credit Card. Since their names are so similar and the cards nearly identical at first glance, we’re here to explain what sets the two cards apart and who can benefit the most from each card. Depending on how much you spend a year on dining and entertainment, there will be a clear winner. (224) Over the Past 60 Days! In this comparison, we’ll break down the similarities and differences between the two cards so you can choose the card that’s best for your needs. The annual fees are the same in year one, but in following years they differ. You’d have to spend $2,375 on dining and entertainment alone just to recoup the Capital One® Savor® Cash Rewards Credit Card’s annual fee — after year one. Since that comes out to approximately $46 a week, that could be fairly manageable. However, don’t base your decision solely off of the annual fees — you need to consider the rewards as well. In the next section, we’ll take a deeper dive into the annual fees and rewards of both cards and how they go hand in hand when choosing a card. Capital One® Savor® Cash Rewards Credit Card: 4% cash back on dining; 4% cash back on entertainment; 2% cash back at grocery stores; 1% cash back on all other purchases. plus, earn 8% cash back on tickets at vivid seats through may 2020. Which rewards program is better? You may think it’s a no-brainer to choose the Capital One® Savor® Cash Rewards Credit Card with its higher cashback rate, but you have to take the annual fee ($0 intro for first year; $95 after that) into consideration. Depending on how much you spend on the card annually, one will benefit you more than the other. Just because the Capital One® Savor® Cash Rewards Credit Card card has a higher cashback rate doesn’t mean it’s the best choice for you. After you deduct the annual fee, you may actually net less cash back than the Capital One® SavorOne℠ Cash Rewards Credit Card. 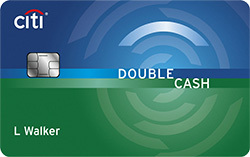 The same concept applies to the annual fee — you may think the $0 annual fee Capital One® SavorOne℠ Cash Rewards Credit Card is the best choice since you don’t have to pay a yearly fee to use the card, but you may actually wind up earning less cash back than the Capital One® Savor® Cash Rewards Credit Card with an annual fee ($0 intro for first year; $95 after that), depending on how much you spend. You have to do some math to figure out which card will reap you the most rewards, but below we provided a basic breakdown for year one and subsequent years that should help you pick the best card. Keep in mind, our calculations only consider dining and entertainment purchases. 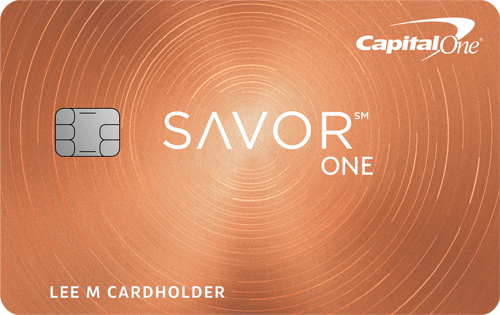 In year one, the Capital One® Savor® Cash Rewards Credit Card earns more money than the Capital One® SavorOne℠ Cash Rewards Credit Card no matter how much you spend. That’s because the annual fee is $0 intro for first year; $95 after that. See below for a visual of how much more cash back you’ll earn at all spending levels with the Capital One® Savor® Cash Rewards Credit Card in year one. Year two and beyond winner: It depends on your annual spending. The Capital One® Savor® Cash Rewards Credit Card will earn you more cash back when you spend more than $9,500 a year (around $792 a month) on dining and entertainment. Spend less than $9,500 a year on on dining and entertainment and you’ll benefit more from the Capital One® SavorOne℠ Cash Rewards Credit Card. You can use the graphic below to find the card that works best for your annual spending on dining and entertainment. Capital One® Savor® Cash Rewards Credit Card: Earn a one-time $500 cash bonus after you spend $3000 on purchases within the first 3 months from account opening. Capital One® SavorOne℠ Cash Rewards Credit Card: Earn a one-time $150 cash bonus after you spend $500 on purchases within the first 3 months from account opening. 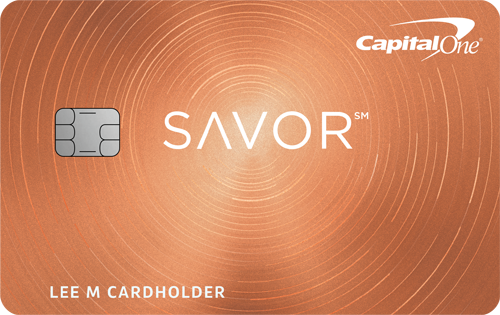 The Capital One® Savor® Cash Rewards Credit Card offers a new cardmember bonus that’s significantly higher — $350 to be exact — than the Capital One® SavorOne℠ Cash Rewards Credit Card, but you are required to spend six times as much on the card to earn it. If you tend to spend at least $1,000 a month, then you should be on track to earn the Capital One® Savor® Cash Rewards Credit Card’s bonus. But, you shouldn’t solely choose a card based on its bonus — you need to consider if the annual fee, rewards, and APR suit your spending habits. While you should always try to avoid carrying a balance month to month, sometimes it’s inevitable. When that happens, it’s helpful to have a card with a low APR. Both of these cards aren’t really the best option if you’re looking for a low interest card, so we can’t recommend choosing one card over based on their APRs since they only differ slightly. No foreign transaction fees: Take one of these cards with you when you travel outside the U.S. and you won’t have to worry about the pesky 3% foreign transaction fee many other cards charge. Premier culinary experiences: Cardholders can access dinners, food festivals and more dining experiences in select cities. Some past events included Tastemaker Chicago and the Food Network & Cooking Channel New York City Wine & Food Festival. Entertainment access: For various music and sporting events, you can access VIP packages, discounts, lounges and more when you use your card. Past events have included the iHeartRadio Music Festival and iHeartRadio Jingle Ball and ongoing benefits include special discounts and perks at the Capital One Arena Washington, D.C.
Complimentary concierge service: Whenever you have a question about travel, dining, entertainment or something else, a personal assistant is available 24/7 to help provide recommendations and answers. Price protection: If you purchase an item with your card and find the same item at a lower price advertised in print or online, you may receive a credit for the difference within 120 days of original purchase. Extended warranty: Eligible purchases made with your card may qualify for an extended warranty double the original manufacturer’s warranty, for a maximum of 24 months. Travel accident insurance: When you pay for an eligible fare (bus, plane, train…) with your card and suffer a covered loss, you may receive coverage. Auto rental collision damage waiver: Paying for an eligible rental with your card and declining the rental company’s insurance qualifies you to receive reimbursement in the event of damage due to collision or theft. Regardless of which card you choose, the cash back you earn can be redeemed in the same ways, including a statement credit, check, gift cards and more. And, if you want, you can set up automatic redemption for a set time each calendar year or when a specific threshold is met ($25, $50, $100 or $200). You can also redeem cash back at anytime, since there is no minimum redemption amount, unlike most other rewards cards that typically set minimums of $25. Ultimately the card that’s best for you depends on how much you plan on spending each year. If you opt for the Capital One® Savor® Cash Rewards Credit Card, you’ll want to make sure the annual fee ($0 intro for first year; $95 after that) is worthwhile — and spending more than $792 a month on dining and entertainment will get you there. But if you aren’t a big foodie or don’t often attend entertainment events, you most likely will benefit more from the Capital One® SavorOne℠ Cash Rewards Credit Card. Check out our guides on the best dining credit cards and cards that offer entertainment perks.